While I do not cook, much less grill -I can appreciate those who can! 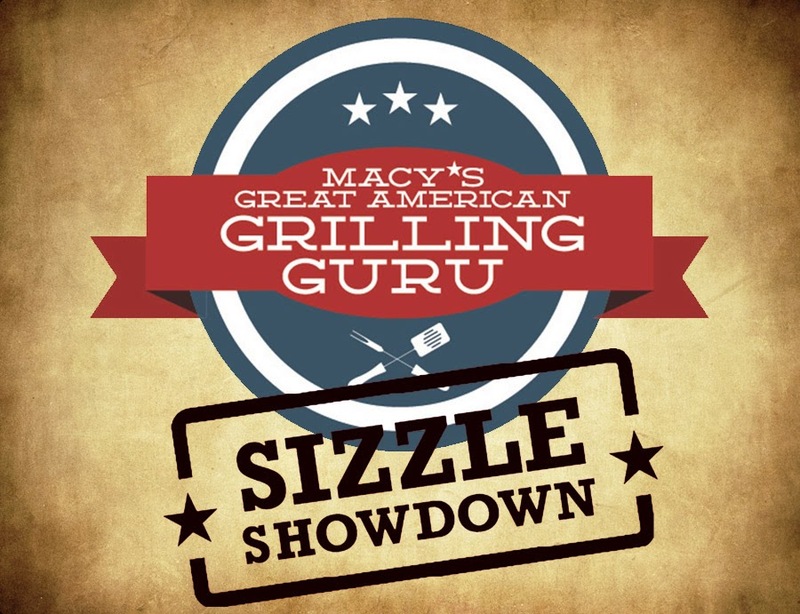 This past spring, Macy’s launched a contest to find the Great American Grilling Guru. Contestants from all over the country submitted their original recipes and Macy’s picked three semi-finalists for each region. Those semi-finalists competed in head-to-head competitions - and the winners from each region competed in the final round here in New York City recently for a chance to win $10,000 and a trip to see the 2015 Macy’s Fourth of July fireworks. Cool! But wait, it was called a "Sizzle Showdown" - and boy, was it hot! Not just the weather, but the competition! It was a fun day of watching six top grill masters compete for the title of Grilling Guru. The judges were celebrity chefs Johnny Iuzzini and Todd English, members of Macy's Culinary Council. At the end of the one-hour timeframe, the chefs selected Sherri W. as the winner. Woohoo for South NY - ummmm... I mean, Florida! Here is the winning recipe that I'd love to share with you - I trust you can cook?! :) Enjoy and happy summer! Blend all the marinade ingredients together and marinade lamb chops and baby zucchini slices with 3/4 of the marinade at room temp for 20 minutes. Grill lamb loin chops on preheated oiled medium-high grill for 4-5 minutes each side or until medium rare. Baste as you go. Grill baby zucchini for 2 - 3 minutes on each side, or until tender. Allow lamb to rest for 5 minutes; drizzle with honey and top with chives. Add remaining marinade to cooked Asian egg noodles. Toss to coat well. Serve lamb loin chops and baby zucchini over seasoned Asian noodles. I am a member of the Everywhere Society and Everywhere has provided me with compensation for this post about Macy’s Culinary Council. However, all thoughts and opinions expressed herein are my own. A Warning for Families Dining -Or Is It Just Me?